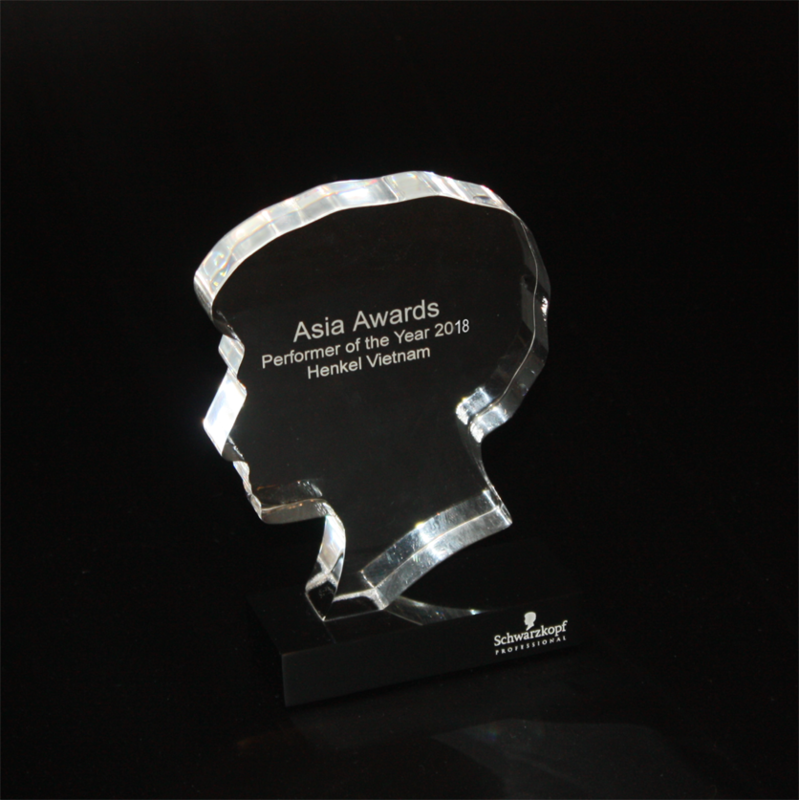 These awards are easily recognised as Schwarzkopf Professional’s iconic head branding. We produce these annually in our workshop. The award consists of 2 acrylic components. We create the head from a block of clear acrylic which is machined and then polished with care by hand. The base is made from a black acrylic with the Schwarzkopf logo engraved and paint filled silver on the front face. The 2 parts are glued together to complete the trophy.